White Paper - What are the Pitfalls of Outsourcing Your Facilities Management? Have You Lost Transparency by Outsourcing? 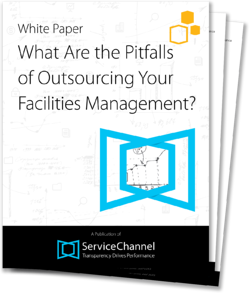 FREE WHITE PAPER What Are The Pitfalls of Outsourcing Your Facilities Management? Are you relying on an outsourcing provider for repair & maintenance services? You need to be careful; doing so may not prove as cost-effective or efficient as you think. From working with hundreds of companies, we've learned the pitfalls you need to avoid. In this white paper, we explore what outsourcing exactly is, the related broker approach and where and when it may or may not be appropriate. "All I get is a bill for ‘services’ once a month. I have no idea where and on what we’re spending our money or how to improve things."